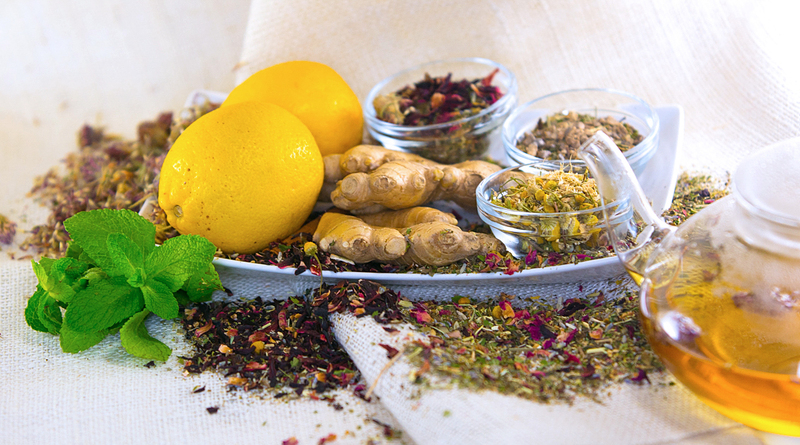 All of ZABICOLife's remedies use all-natural ingredients, such as lemon, mint, olive leaf, and other seen above. Photo credit to Gladstone Etienne. As the semester comes to a close and finals preparation begins, students around the nation are facing uncharted levels of school-induced stress and anxiety. The emotional well-being of first-year college students in America is at it’s lowest point since 1985, the first year the UCLA Higher Education Research Institute began collecting data. The study also finds that students have far less time to socialize and relax than previous generations, with only 19 hours a week of free time on average. During finals, this number is even smaller, as students often continue their everyday responsibilities with added pressure to study. Fortunately, researchers have found multiple solutions for reducing task-related stress, particularly in young people. One of the most affordable and highly effective methods is drinking tea. University College London performed a study on 75 young adults, revealing that drinking tea reduced levels of human stress hormone, cortisol, by 47 percent. Online retailer, ZABICOLife Tea, offers a wide variety of herbal remedies, each created with unique ingredients to better particular aspects of one’s daily life. Named after the ‘French Creole’ word for the apricot tree, “ZABICO improves the quality of life…making one more resilient, healthy and strong,” ZABICO founder Gladstone Etienne says. Tea is the most widely consumed beverage in the world next to water, in part because of this. However, this is just one of dozens of products that ZABICOLife produces to offset the negative aspects that often accompany high levels of stress both during finals and otherwise. Stress-eating is a popular habit both on and off of college campuses. As popular food blogger Melissa McCreery wrote in a recent post, “When it hits, you probably don’t have extra energy or time to figure out what to do about it." Instead of jumping into a fad diet like many students do, ZABICO’s detox herbal teas are a healthy and sustainable way to shed the toxins. The National Institute of Health found that over a 12-week period, tea drinkers lost an average of 2.9 pounds without making any other dietary changes. Each ZABICO detox tea comes with a digital nutritional plan and corresponding calendar to follow. The detox plans last between one and two weeks, and still include the similar calming ingredients as the ZABICO’s other products. Skin flare-ups are not uncommon when facing added stress either. The ‘Body Radiance’ infusion includes is full of antioxidants, working to reduce skin redness and revitalize skin. This finals season, instead of resorting to old habits, reduce stress while benefiting your body at the same time with an herbal tea from ZABICOLife. Plus, who doesn’t love free shipping?